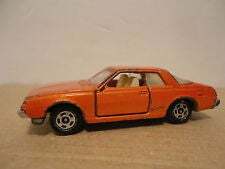 The first installment of NPoCP features a super rare Tomica Pocket car Mitsubishi Gallant 2000GSR with a starting bid of $61.88. So is it a nice price or crack pipe? Watch real life Mad Manga&apos;s leaving a parking lot.